Bogu Jutsu or as more commonly called, Bogu Kumite is training using full contact strikes and sometimes grappling to practice and test ones timing, technique and the building of a martial artists fighting spirit. The use of the bogu is inherently restrictive. Making it difficult to see, breath, hear and move. 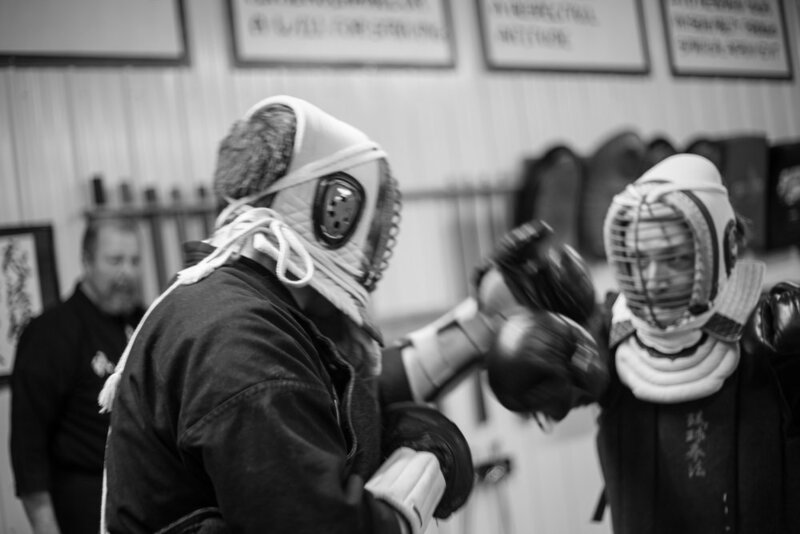 It demands that the martial artist develop his or her senses to a higher level when wearing the gear. And thus, when removed, you will feel lighter, hear, see and breathe better. 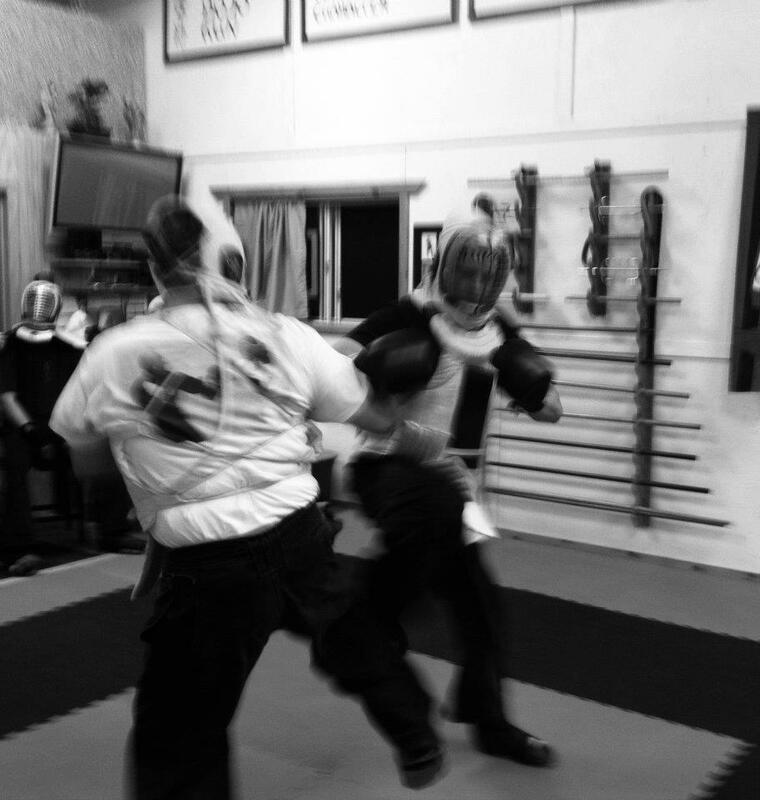 Slowly developing heightened senses, as well as developing combative timing. Bogu Jutsu is a vitally important part of Ryu Te, and is one that we take very seriously here at the Shin Ken Kan dojo. 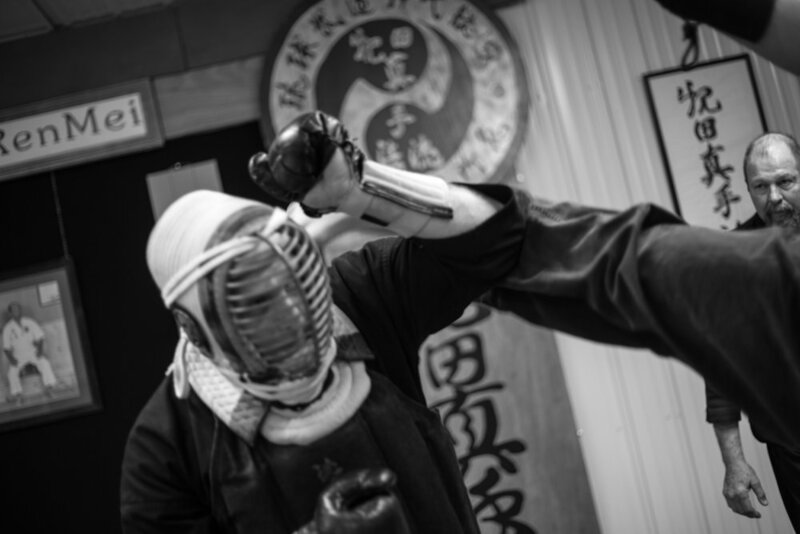 Without it, all that is developed is a theoretical view on combat and technique. 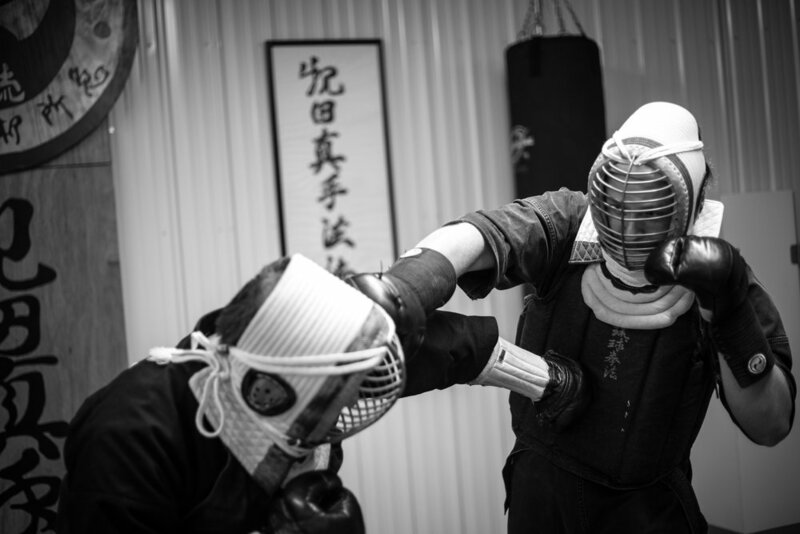 While not all technique can be done with the gear on, being that it is restrictive, the elements of timing, distance, speed, fighting spirit, Nin tai ( perserverance ) are developed making for a well conditioned martial artist. 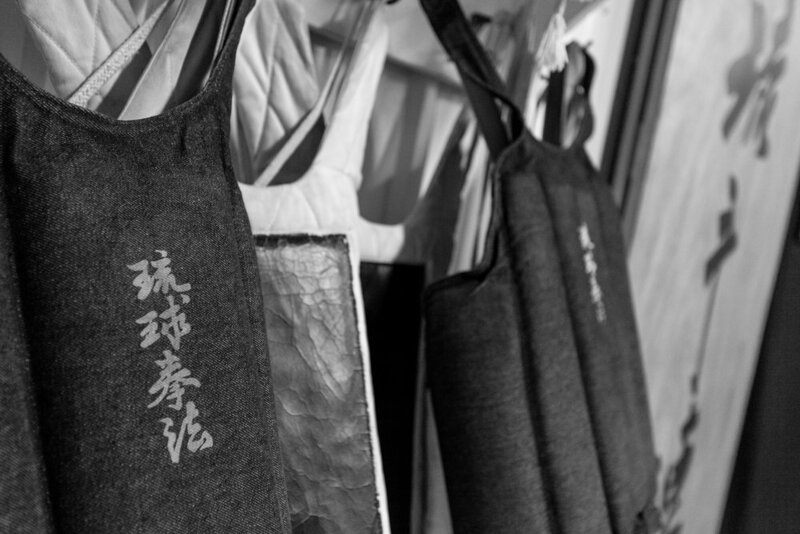 The Bogu hangs on the dojo wall resembling the armor of some ancient knight raveled and worn from a thousand battles, symbolizing the warriors from by-gone days. Its full utilization and impact remains a mystery to all that have not worn the armor as it silently waits to build the character and confidence of the next fighter. The Bogu, at first glance, seems inconsequential especially when compared to all the other aspects of RyuTe; however, its importance becomes apparent after the first fight. An almost claustrophobic feeling emerges when the gear is tightened. 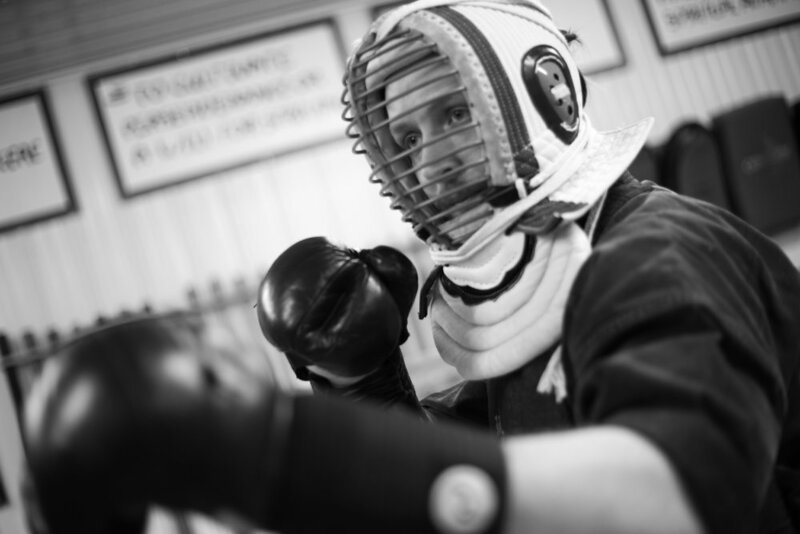 Breathing becomes difficult, vision is impaired, all sounds are muffled, and the essence of the last fighter remains inside the mask, all adding to the challenge of the fight. Anxiety builds as the exchange of bows is given. Circling and cautious, no sudden movements are made because it is not known what to expect. The Bogu seems to be a hindrance or confining, keeping the full potential of the fight from developing and the limited field of vision and the muffled silence gives the impression of solitude. Awkwardly, the first offensive movement is made as it barely makes contact. Little effect is seen upon the opponent and it appears as though the Bogu accomplished its job protecting the opponent. Confidence begins to expand and a second offensive technique is made. Again, a blow is landed and the feeling of accomplishment sets in and the usefulness of the Bogu starts to become apparent. The anxiety and claustrophobic feelings begin to melt away and are replaced by a feeling of confidence and security. Suddenly, the opponent makes an offensive move, striking a blow to the facemask. As the strike comes, it seems to be in slow motion although there is nothing that can be done to stop it. Larger and larger the fist grows until it reaches the mask and suddenly it all turns into blackness. All thoughts of Bogu, fighting and even consciousness disappear. Just before the blackness, a loud, almost sickening crack is heard and then a constant ringing. Seconds seem to stretch into minutes and minutes into hours before consciousness returns. While it seemed an eternity, only seconds have passed and the fight resumes. Feeling less confident about the security of the Bogu and even less concerning fighting ability, the anxiety returns, fearing every movement by the opponent. As the opponent attempts a second strike, the memory of the first blow comes to mind and both hands are brought up in desperation to block the strike. As quickly as the blow is blocked, a kick is thrown by the opponent that lifts and propels the whole body across the dojo as if shot from a cannon. 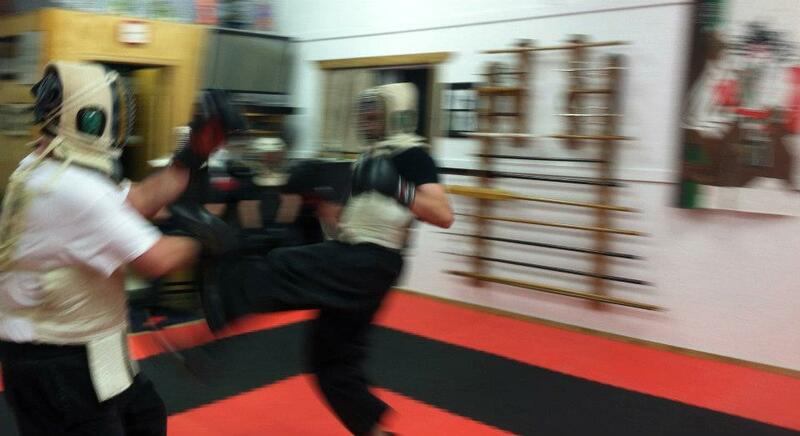 Unlike the blow to the mask, the kick is so quick that it seems almost invisible. Although still conscious, breathing is very difficult and embarrassment sets in at such a poor showing. After thoughts concerning the first Bogu fight began to melt away the feeling of security, thoughts of what would have happened had the gear not been worn begin to come to mind and a feeling of thankfulness sets in. The faint hearted and those of little character view the Bogu with apprehension, discounting any usefulness for the restriction, embarrassment and pain associated with its use. There is often confusion concerning the use of the gear. While most understand that contact can be made, the extent of this contact is not known. 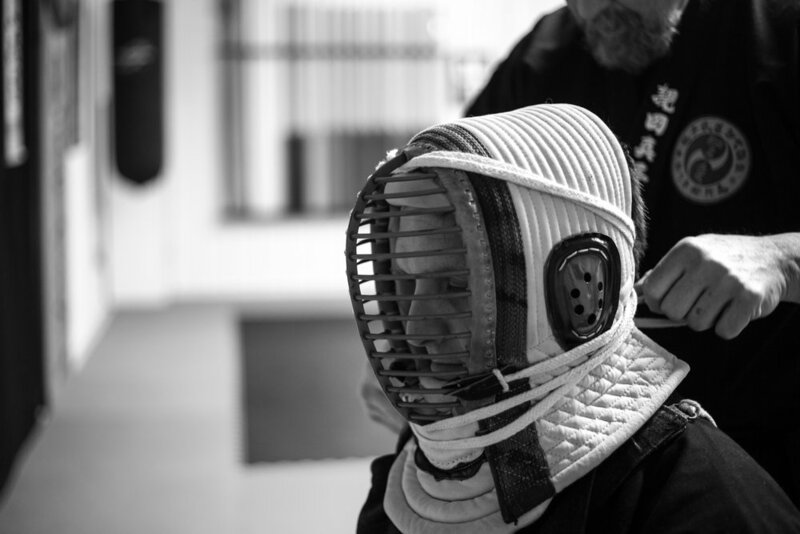 To truly appreciate the use of the Bogu, the first experience should be a total humiliation, then the application of offensive and defensive techniques can be truly understood. The concept of the Bogu is misleading. 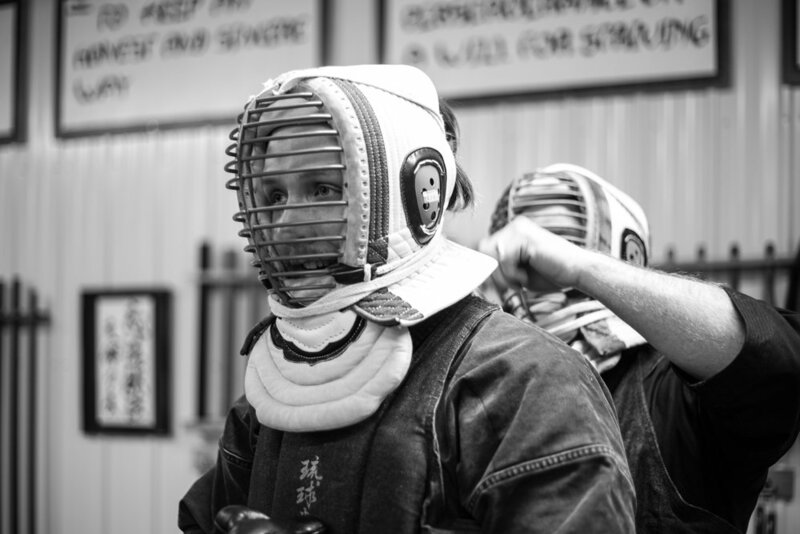 First thoughts are those of restriction while wearing the gear and others of the idea of how much contact is required to achieve a point. 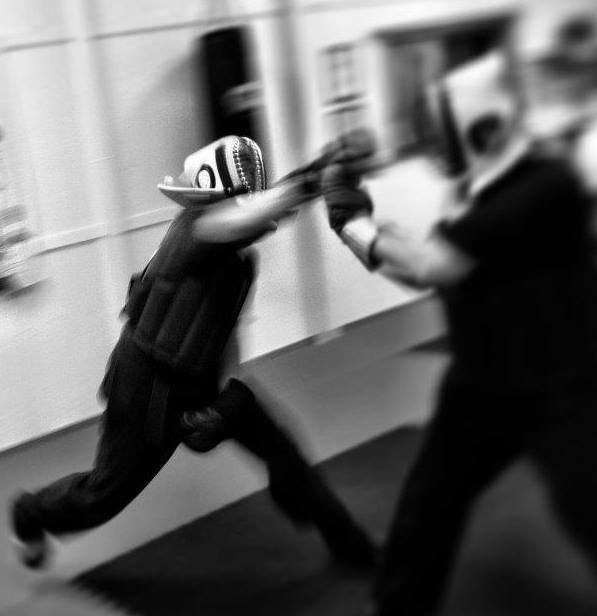 Merely touching the gear or a follow through from a pulled punch is not sufficient. The blow should be such that it could have caused damage or injury had the opponent not worn the Bogu. 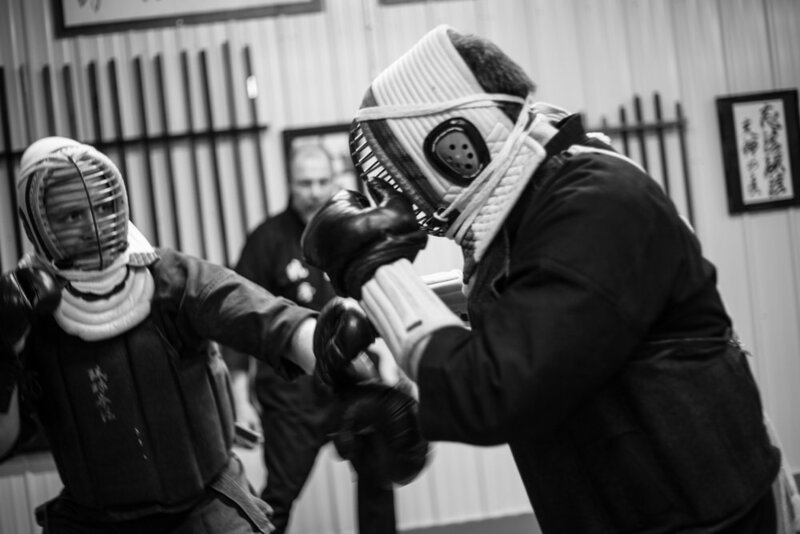 Bogu Kumite is just a sport; however, it provides several important concepts in our ultimate training. It takes a lot of character to be hit hard enough to lose consciousness or be knocked to the floor with a kick only to have it happen again. It is much easier to practice defensive techniques if the opponent is not going to hit, but this builds a false sense of security. This is the same false sense of security that comes to mind when the Bogu is first adorned; however, after a good match, it is realized that the Bogu doesn't protect from the impact or some of the pain of the blow, it protects against the result. 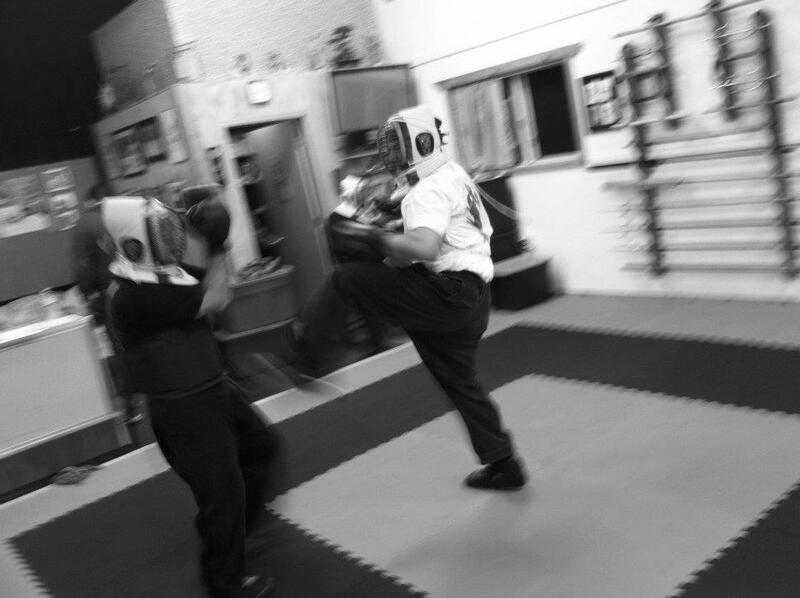 Bogu Kumite, while not actual combat, teaches confidence in ability and develops timing at real fighting speeds. A certain amount of anxiety and risk are also present because of the possibility of a knock out or pain and discomfort that can come with certain blows. Bogu Kumite is an important link to RyuTe's heritage. It must be kept in the tradition of the past and not allowed to mingle with modern change. We should be proud that we are different and encouraged knowing that we can test our techniques and skills in mock combat.